As a Food Lover, you know how to combine foods for maximum fat burning. But did you know you can rev up your fat burning results even more by boosting your intake of specific nutrients. Here’s a look at some of the best fat burning nutrients … and where you can find them. B Vitamins including Thiamin, Riboflavin, Niacin, B6 and B12 play a critical role in assisting with the body’s energy production. B Vitamins help convert the foods we eat into energy our bodies can use, rather than being stored as fat. Good sources for B vitamins include whole grains, potatoes, bananas, lentils, chili peppers and beans. Linoleic acid is a naturally occurring fatty acid found in beef and dairy products. It has been shown in studies to produce a thermogenic response within the body. This means it helps to raise body temperature, metabolic rate and the amount of calories and fat you burn. As a bonus, it also helps to promote lean muscle development. Omega 3 fatty acids, found in foods like salmon and walnuts, are associated with decreased fat storage and an increase in leptin levels, a hormone that helps decrease appetite. So, eating or supplementing with Omega-3s may help you control your appetite and burn more fat. Studies suggest that supplementing with Omega 3 can boost fat loss beyond what’s possible with diet and exercise alone. As little as 1.6 grams of Omega 3 daily can accelerate fat burning. Other sources of Omega-3s include flax seeds and soybeans. Chromium Picolinate helps to optimize your metabolism by preventing spikes and dips in blood sugar while also reducing sugar and carb cravings. 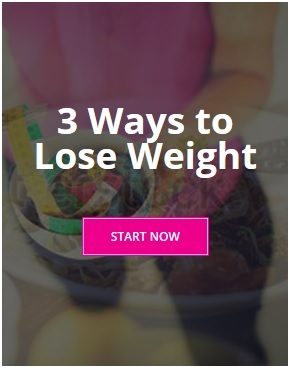 Obtaining a sufficient amount of chromium in the diet can be difficult, so taking a supplement like Food Lovers 5-Way Metabolic Fat Fighter is recommended. ECGC is a component of green tea, and it is one of the most exciting fat-busting discoveries in recent years. ECGC has been shown in several clinical studies to rev up metabolism and increase the body’s fat-burning powers, making it easier to shed body fat. Studies on ECGC show an increase in the body’s rate of calorie burning, greater weight loss, decreased body mass and decreased total body fat. Found in borage oil, gamma-linolenic acid has the unique ability to discourage fat storing and encourage fat burning. Borage oil has been shown to activate a metabolic process in the body that can burn close to 50% of the body’s total calories! In one study, subjects taking borage oil lost 9.6 to 11.4 pounds in a six-week period. Other sources of gamma-linolenic acid include black currant oil, evening primrose oil, vegetable oil and spirulina. Vitamin B is beneficial for a fat burner and along with that it is also beneficial for facial hair growth. Consumption of Vitamin B3 as it has Niacin known for promoting circulation of blood is fruitful for beard growth and for your mustache. Peanut, chicken, strawberry etc are very rich in the same. Apart from vitamin B3, One can consume beard growth supplements like this https://www.beardilizer.com/product/beard-growth-supplement/ that contain vitamin B5 and vitamin B7. Just like beard growth supplements, One can opt for weight loss supplements that are available in market these days.